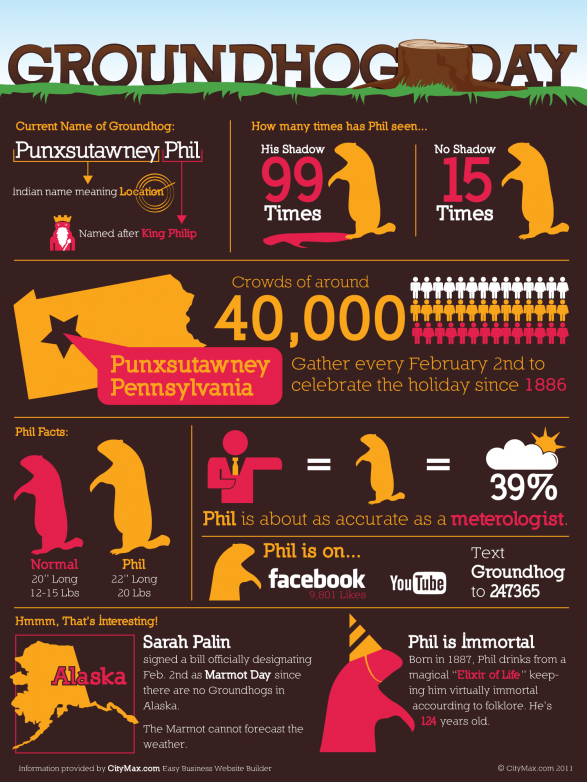 As I was reviewing the latest example created by Visual.ly (see below) for Ground Hog Day, it dawned on me that this would be a great project to take on for each of the classes I teach at Lake Michigan College. This material would be available in the e-catalog and admissions advisers. OK, what and I missing and what do you think of the idea? This entry was posted on Thursday, February 2nd, 2012 at 1:29 pm	and tagged with admissions, CIS-218, Lake Michigan College, Michigan, promotional material, Students, WEB 2.0 and posted in Tip / Tools. You can follow any responses to this entry through the RSS 2.0 feed.